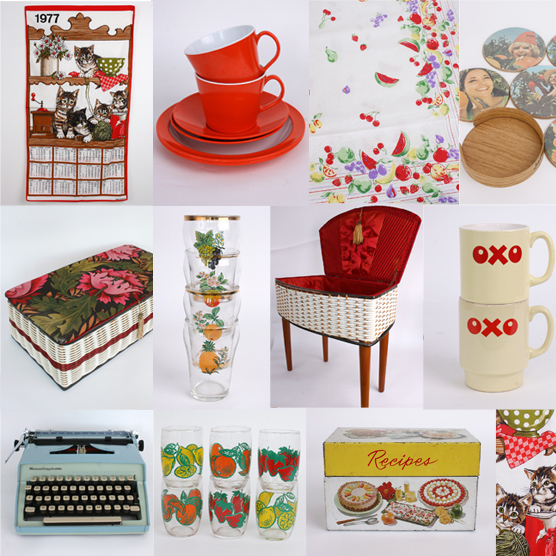 All new vintage in the shoppe today! It’s been the sunniest day in a long time in the Thrift-ola photo studio today as I snapped my tutti frutti vintage and most colourful thrifted finds. I also decided to price stuff at super nice January friendly prices which means nearly everything is £5 and the typewriter is only £30 – I normally price them around £45 as they’re difficult to find and so heavy to carry I usually can’t buy anything else on the same trip as I can’t carry anything else! But hey-ho, we’re 3 weeks into a 5 week month and most folk got paid before Christmas so it’s a double shot of sunny vibes on Thrift-ola today. Hooray!